Save $500 plus shoot to save more!  Take our LASIK Self Evaluation now, and see if you are a good candidate for All-Laser Custom LASIK! Cornerstone Eye Associates is an established practice providing comprehensive eye care to the Rochester area for over 50 years. We are proud to continue with a long tradition of genuine and quality care of our patients. Over the years we have selected only treatments and surgical procedures that are proven to be safe and beneficial to our patients. We are proud and humbled by the thousands of patients that put their trust for their surgical needs in our hands every year. Our mission is to provide the most up-to-date medical care in a personal and individualized experience where the patient is always first and of the utmost importance. The people are all so nice and comforting. Mellissa was amazing to work with. Dr hanuch is an awesome doctor. The nurses were all friendly and fun. Best of all-I can see!!! Great team led by Dr. Park, whose care and medical skill are highly admired and recommended. When you consider a provider's level of service, you have to have a very high level of trust when they are operating on your eyes! Dr. Park was exceptional in the quality of work, bedside manner, follow up, and has an excellent staff! Staff is absolutely amazing! So friendly and reensuring. I had my lasik surgery done last week and I couldn’t be happier. What an anamzing feeling to be rid of contacts and glasses after 20 years! My only regret not doing it sooner ! Great experience with my cataract surgery. Cornerstone Eye Associates has delivered high quality eye care to the Rochester area for the last 50 years.  In addition to our long history of excellence in ophthalmic surgery, our refractive surgeon, Omar Hanuch, MD, has performed thousands of cases and has been involved in refractive surgery through research and clinical practice for the last 22 years. At Cornerstone Eye Associates we believe that making your visual goals attainable is a team effort. Whether you see Dr. Hanuch, Dr. Chaisson or Dr. Emily Hanlon they will take the time to discuss your visual requirements for work, family, social and sporting activities. This allows for the customization of the procedure to fit your individual needs. We have experience in several technologies and will choose the one that is the safest and most effective for your vision. Our Bausch and Lomb Zyoptix WaveFront custom laser sets a new standard in laser vision correction. Zyoptix unparalleled technology and unprecedented clinical results provides confidence to individuals who may have been undecided about getting laser vision correction. In fact, clinical trials for FDA approval showed that 99.7% of patients said their quality of vision was improved after vision correction with the Zyoptix system. In addition, our femtosecond laser is the only one of its kind in the area with real time topography, making the process safer for each patient. At Cornerstone Eye Associates, we closely monitor every step of your experience and follow a strict protocol to ensure the best results and safety. Our experienced staff has been involved in thousands of surgical procedures and understands the meaning of surgical safety. FDA clinical trials showed 91.5 % of patients had 20/20 or better vision following the LASIK Zyoptix procedure. Our combined results approach 95% of 20/20 or better vision. We are able to achieve this high level of accuracy by applying our own treatment nomogram, as well as Bausch and Lomb’s advanced nomogram, (a set of measurements specific to each patient) that is entered into the laser before performing refractive surgery. Nomograms are calculated by evaluating patient treatment results over the years. We offer the highest quality possible at the best value in the region. We are able to achieve this by combining our LASIK center with our large general Ophthalmology practice, therefore reducing our overhead expenses and reflecting these savings in our low fees without compromising quality. Check out our current LASIK savings and financing options to help make getting All-Laser LASIK more affordable. Refractive Marketing and Web Design by Eyemax.